All the talk on the ground at home here in Ireland is about guys scurrying to test and get machines ready for the upcoming drift season. That can only mean one thing, the series which has spawned such internationally recognised names as Darren McNamara, Dean Kearney, Eric O’Sullivan and James Deane to name a few is back. 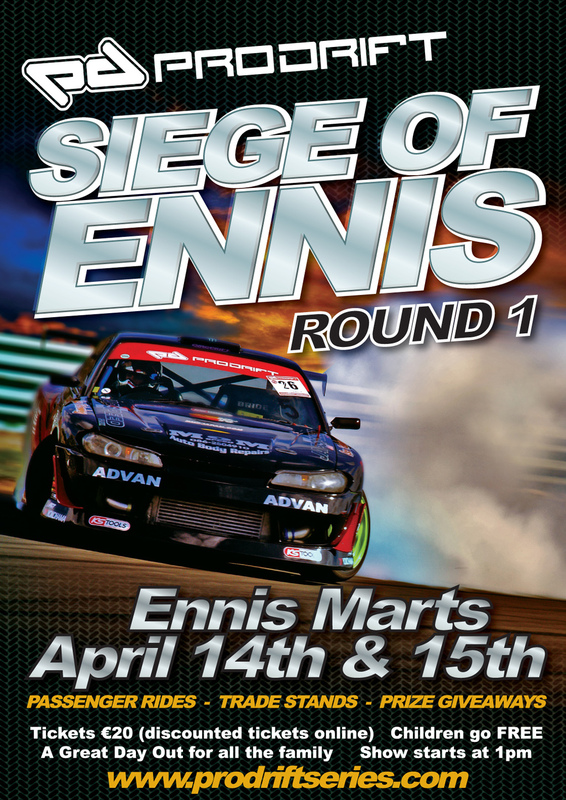 In just under a month Prodrift 2012 opens with the Siege of Ennis in Co.Clare and we can’t wait! We’d like to wish all the existing and new drivers the best of luck for the upcoming season, see you all trackside.